According to the Emory authors, cost savings will be realized only if patients, providers and payers change behavior in response to new evidence. In a study published in the October edition of the journal Health Affairs, researchers from Emory University’s Rollins School of Public Health (RSPH) analyzed the clinical and financial impact of two New England Journal of Medicine (NEJM) trials showing that two common arthroscopic knee surgeries do not benefit patients with osteoarthritis of the knee. To determine whether the NEJM studies, published in 2002 and 2008, were associated with changes in clinical practice patterns, the researchers examined ambulatory surgery data from Florida and found that the number of arthroscopic debridement and lavage procedures per 100,000 adults declined by 47 percent between 2001 and 2010 with sharp declines after the publication of the initial NEJM article. The Emory study concluded that nationwide spending on these procedures declined from approximately $83-$138 million annually over this ten-year period. 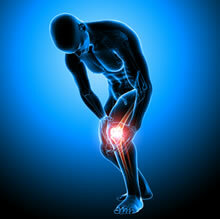 Other types of arthroscopic surgeries increased during this time. "The results of our analysis show that clinical trials and comparative effectiveness studies of widely used therapies like this one, have the potential to lead to major cost-savings and significant changes in patterns of medical practice," says David Howard, PhD, associate professor in the Department of Health Policy and Management at RSPH. According to the Emory authors, cost savings will be realized only if patients, providers and payers change behavior in response to new evidence. The same characteristics of the health system that promote adoption of new, untested technologies may hinder the abandonment of existing therapies found to be ineffective.